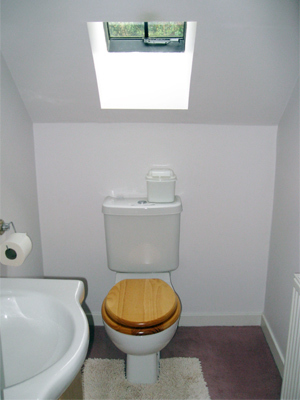 The main bathroom is on the ground floor. A bath with shower over is provided. Upstairs on the first floor, there is a WC and hand basin.